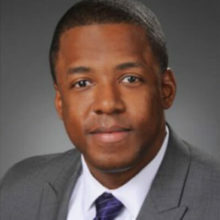 Edward Anderson is the principal at Tanglewood Middle School with Greenville County Schools, where he serves a majority population of African-American and Hispanic students. His leadership style is described as a compassionate facilitator, someone who works diligently to provide an inclusive environment that puts students in a safe and engaging space to learn. As an educator and dedicated advocate for children, he previously worked as a classroom teacher, district-level academic specialist and assistant principal. His board and nonprofit experience includes working with Save Our Sons, which builds positive mentoring relationships with minority and disadvantaged young males; Greenville County Schools leadership committees; Goodwill GoodGuides as a mentor; United Waay’s Young Philanthropists’ school readiness chair; and United Way’s OnTrack Greenville initiative. He looks forward to strengthening the prevention work and sustainability of Children’s Trust. His selection is pending approval by the governor’s office. 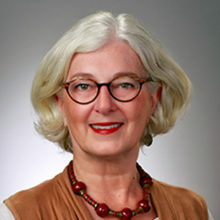 Arlene (Blythewood) is a distinguished professor emerita in the College of Social Work at the University of South Carolina with extensive experience as a community psychologist, nonprofit leader and board member. While at USC, she served as the director of the Institute for Families in Society. 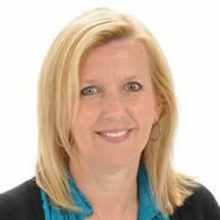 Currently on the board of trustees for the South Carolina Center for Fathers and Families, Arlene has previously served in a variety of key roles as the founding executive director of Sistercare; founding executive director of Prevent Child Abuse South Carolina; and as a board member of multiple community and regional organizations, including the Southern Regional Council. She also served for eight years on the South Carolina Joint Legislative Committee on Children and Families when the Children’s Trust Fund was established. Arlene brings vast leadership skills to Children’s Trust in the areas of strategic planning, public policy, and fundraising. From her perspective, she says, most importantly, she is a mother and grandmother. Her selection is pending approval by the governor’s office. Mac Bennett is the director of community impact and strategic initiatives for the Columbia agency Cyberwoven, which specializes in web design and development, branding, and digital marketing. From 2005 to 2017, he served as president and CEO of United Way of the Midlands. During his tenure, United Way experienced tremendous growth that allowed the organization to more effectively address the Midlands’ most immediate needs. Prior to United Way, Mac spent 14 years as the president and CEO of the Central Carolina Community Foundation. In that time, he founded Together SC (formerly SCANPO) and served as the first chairman of the organization’s board of directors. He brings vast nonprofit experience to Children’s Trust in the areas of leadership, management, finance and policy. Marc is an attorney in the Columbia office of Turner Padget Graham and Laney, where his practice focuses on personal injury and premises liability. He is a volunteer with Big Brothers and Big Sisters of Greater Columbia and the Homeless Legal Protection Clinic. Marc also serves on the board of Communities in Schools of the Midlands. He’s a graduate of the University of South Carolina with a bachelor’s degree in psychology and criminology and an honors graduate of Emory University School of Law in Atlanta. Marc has an interest in raising visibility and awareness of child abuse prevention in ways that can impact fundraising and advance policies to better protect children. Robin (Hartsville) is the Hartsville district superintendent with the South Carolina Conference of the United Methodist Church. With a lifetime of service, she currently serves as a board member for General Board of Church and Society of the United Methodist Church, Claflin University board of trustees, and South Carolina Methodist Foundation. She felt the call to ministry and earned a master of divinity and doctorate of ministry in stewardship from Wesley Theological Seminary in Washington. D.C. Her work and mission involves helping people facing difficult societal issues find a path to living productive and successful lives, and she strongly believes those experiences and skills can be applied to Children’s Trust. 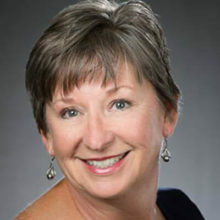 Abbie (Easley) has served as a member of the South Carolina Medical Association Alliance for 11 years, including as its immediate past president. She championed the Pinwheels for Prevention during her tenure as president of the SCMAA. Abbie also was involved for 11 years with the Pickens County Medical Association, which included one term as president. A board member for eight years with Prevent Child Abuse Pickens County, she has a strong interest and experience in fund development as well as some experience and interest in public policy/advocacy. Abbie represents the 3rd Congressional District on the Board of Directors. After working as a teacher for a number of years, Elizabeth Gressette (Cayce) received her PhD in education and became executive director of the Palmetto State Teachers Association. A member of various civic organizations, including Women in Philanthropy and Rotary Club of Cayce-West Columbia, Elizabeth has received numerous honors and awards throughout her career. She was awarded the Order of the Palmetto in 2005. Elizabeth serves as an at-large member. 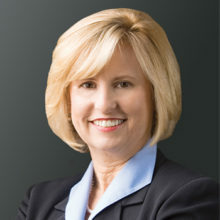 Beverly is the associate vice president of government contracts at Molina Healthcare of South Carolina. She has professional experience in both the private and public health care sectors. She has served as a board member for several South Carolina nonprofit organizations, including United Way of the Midlands, Palmetto AIDS Life Support Services, and the Boys and Girls Club. She is especially interested in using her management experience to help Children’s Trust build a more successful governance model and promote a vibrant governance structure. 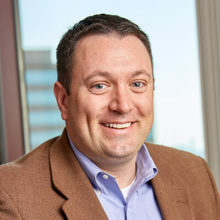 Founder and Managing Director of UberResearch Inc.
Stephen (Lexington) is a founder and managing director of UberResearch, which has a mission of helping organizations, nonprofits, and governmental institutions make more informed decisions about science funding. He is an investor, board member, and advisor for software companies and industry groups after a career with IBM and multiple entrepreneurial companies in software and communications. The father of two children with his wife Mandy, he has a long-standing passion for children’s issues and safety. Stephen is serving as chair of the board of directors and represents the 2nd Congressional District. 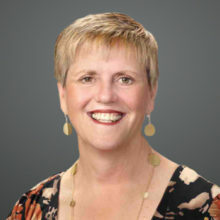 Susan Luberoff, M.D., (West Columbia) is a long-time pediatrician who has served as a medical director of the Metropolitan Children’s Advocacy Center, a primary care physician with Palmetto Health’s Medically Fragile Children’s Program, and a co-director of the Abuse Recovery Center in her career. She currently works as a medical consultant to the S.C. Vocational Rehabilitation-Disability Determination Services, Palmetto Health-University of South Carolina Medical Group, and S.C. Department of Health and Environmental Control Children and Youth with Special Health Care Needs Program. A clinical associate professor of pediatrics with the USC School of Medicine, she holds a bachelor’s degree in biology from USC and a medical degree from the USC School of Medicine. Her at-large position on the board of directors is pending. Tim is a partner in the Columbia office of Mauldin and Jenkins, specializing in audit services for a wide range of clients, including middle market and privately held businesses, employee benefit plans, higher education, nonprofit organizations and governmental entities. 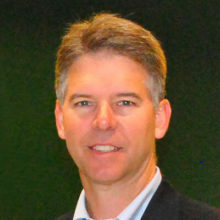 He recently completed a term on the board of directors of the Educational Foundation of the Georgia Society of CPAs. Tim is a graduate of Furman University and obtained his master’s of accountancy from the College of Charleston. He is interested in bringing his knowledge and experience to help Children’s Trust define and measure mission impact and to ensure long-term sustainability. Steven Moon (Columbia) is an attorney and shareholder at Rogers Townsend & Thomas working as counsel for a number of health care entities. Holder of a Juris Doctor from the University of South Carolina School of Law, he has represented many health care institutions, including hospitals, nursing homes, pharmacies, pharmaceutical companies and assisted living facilities. Steven represents the 6th Congressional District on the board. Erin Pate (Georgetown) is the North Coast Office Director for the Coastal Conservation League. A graduate of the University of South Carolina, she has had a career in nonprofit leadership and management to include serving as the CEO of SC Association of CPAs and prior to that was the founding executive director of the S.C. Association of Nonprofit Organizations. She also currently serves on the board of the Black River United Way. Erin represents the 7th Congressional District on the Board of Directors. Tiffany Santagati (Taylors) works as a senior vice president at PULSE Center Executive at Southern First Bank. 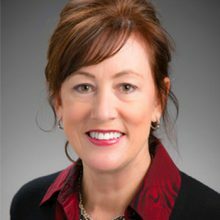 She has spent the majority of her career in the banking industry while also volunteering to serve as an active board member for both statewide and Upstate organizations. She is a graduate of USC Upstate with a master’s degree in business administration from Webster University. Tiffany represents the 4th Congressional District on our board. Sharon is a market executive for Founders Federal Credit Union – Lancaster/Columbia. She serves on the board of directors for the United Way of Lancaster County and also as the president nominee for the Lancaster Rotary Club. Sharon is excited about the work Children’s Trust is doing to strengthen families and wants to help communicate the impact of that work while helping ensure long-term sustainability. 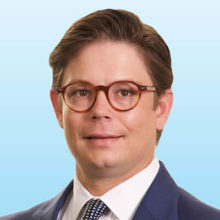 Philip is a brokerage associate for Colliers International in Columbia with a specialty in tenant advisory services and experience in lease/sale contracts, site selection, solicitation and analysis of proposals from landlords, integrated space planning, and tenant improvement allowances. In addition to serving on the Children’s Trust development committee, Philip is a board member of Youth Corps of Columbia, where he chairs the governance committee, and a volunteer with the Midlands Reading Consortium through the United Way. He the inaugural recipient of the Judith M. Davis Volunteer of the Year Award given by United Way of the Midlands (2018). 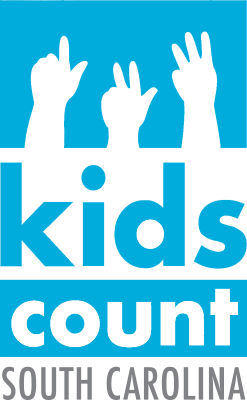 He seeks to diversify the funding base of Children’s Trust.